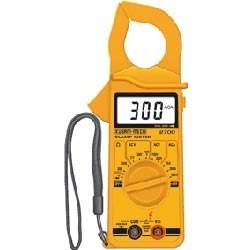 Assured with high safety parameters these Professional Grade Digital Clamp Meters are used to simultaneous measurement of power harmonics voltage fluctuation and they also prevent incorrect wiring by the connection acknowledgment function. High resolution DCA / ACA of 1mA 23 mm Jaw size. 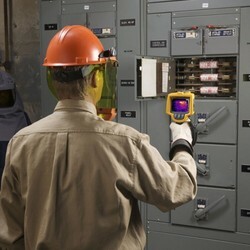 Infra Red Thermometer can be used in places where it is difficult for a normal temperature probe to reach or places where it is dangerous such as Heat Treatment Furnace, High Voltage Operating Plants, Molten Metal Temperature Monitoring, Kiln Temperature, Bearing Temperature, Energy Conservation, Scientific Experiment, Research & Development, Air conditioning, Petrochemicals, Automobile repair & Maintenance. It can be used for purposes where safety is involved such as Gas pipelines, Automotive Industry, Clinical use, Electrical Panel etc. Accessories Test leads (TEL-AL28-2), Carrying Case, Manual & battery. We are engaged in providing This range is engineered to display Voltage & Current Harmonics unto 31st Harmonics. It is very easy to program and comes with RS485 output. 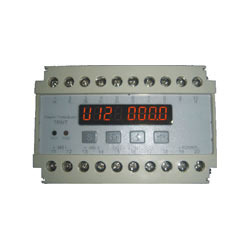 The digital display accurately displays 12 parameters simultaneously. Few of these parameters are 3V, 3A, W, Var, WH, Var H, PF and Hz. This range complies with DIN-IEC 688 standards and is best suited for 1Φ2W, 1Φ3W, 3Φ3W, 3Φ4W systems. 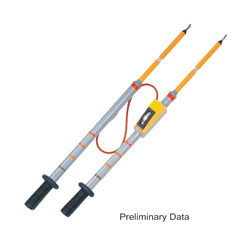 Our clients can procure from us an excellent range of High Voltage Multifunction Phasing Sticks which is designed for all-in-one color coded indication of Phase Comparator. It also features a Neon indication scaled Voltmeter. This range detects and measures with the help of long established techniques. It features modern, high quality glass fibre front end. Its body molding is made of polyurethane that makes it tough and light in weight. 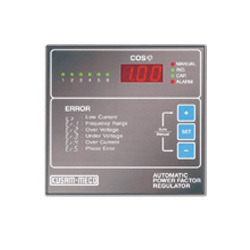 Our clients appreciate this range for its superior safety features, Analog Color Coded Dual Scales and Neon indication. It is self powered, thus, ideal for both indoor and outdoor use. This range is very safe to use and eradicates the need to dismantle and re-assemble. It can identify phases up to 44kV and comes with hand guards on each model. Easy to handle, strong flexible and insulated cable ensures maximum operator safety. 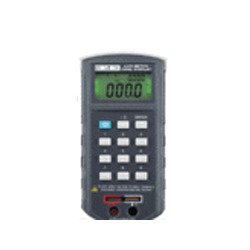 We are proud to offer a well-tested range of Multifunctional TRMS Power Meter that is widely appreciated for its excellent make and accurate measurement. 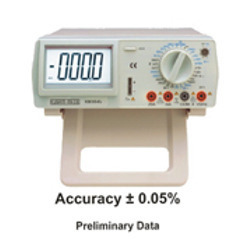 It comes with a high-brightness LED display and is capable of accurate measurement to 0.25%. One can easily connect it via RS485 or RS232output and programmer it for current and voltage transformers ratio. It shows neutral current and has dual relay contacts for energy or alarm output. Its memory lasts for ten years for both energy data and setting values. Input Range: Normal Voltage 110V, Effective Range 55 ~ 150V. Normal Voltage 220V, Effective Range 160 ~ 300V. Input Over: Normal AC 110V, Voltage Over 500V Continuous. 50A 10 Sec / Hour; 400A 0.5 Sec / Hour. The pioneers & leaders in high quality power factor controllers & maximum demand controllers, now introduce 2 new economy models of power factor controllers. 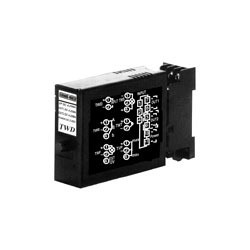 These controllers have microprocessors for automatic control of power factor. It has digital indication for power factor. Automatic self adjustment for C/K value. Three different types of Operation sequence (1:1:1:1...) (1:2:2:2...) (1:2:4:4...). The set data is preserved for at least two months in the event of Power failure. 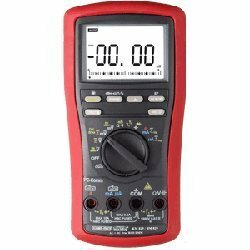 These Professional Grade Digital Multimeters are ideal solution for various DMM functions include True RMS AC/DC Voltage and Current, Resistance, Capacitance, Frequency, Duty Cycle, Diode and Continuity Tests. These have Screen hold function that save and recall up to 100 waveform and data and offers a high contrast FSTN LCD with white LED back light. Battery life 16 hrs approx. These High Safety Ul Approved Digital Clamp meters come with 1000ADC / 800A AC, 4000 COUNTS CLAMP ON DMM. These are quite versatile & handy and come with fully auto-ranging on all functions for ease of use. EMC EN61326 (97/98A1) / EN61000-4-2 (95) / EN61000-4-3(96). 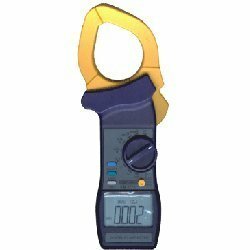 We specialize in offering our customers with highly qualitative range of Industrial Digital Clamp Meters. These are provided with the dimension of 250(L) x 100(W) x 46(H) mm. These are suitable for high-accuracy digital reading. Weight: 300 gms (approx) with battery. 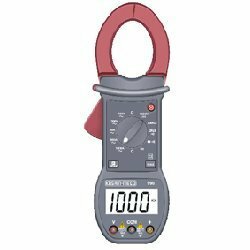 Clients can avail from us Industrial Grade Digital Clamp Meters that are very economical solution for various industrial applications and are available with data hold auto power off function. 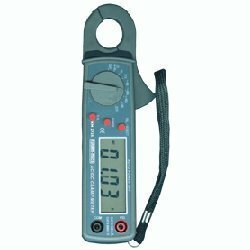 3½ Digits 2000 Counts Digital Clamp Meter 6 Functions. 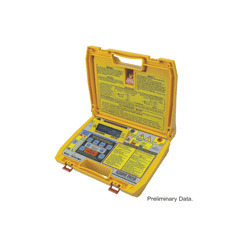 Suitable for multi voltage selection this Digital Insulation Tester are designed to identify the potential equipment failures before they occur. Moreover these are ideal for testing a wide range of high voltage equipment that include switchgear, motors, generators and cables. Power ON/OFF switches for continuous measurement. Multiple outputs to cover all applications. 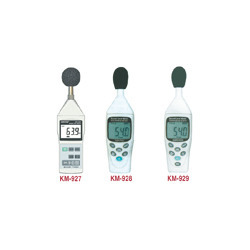 A hugely dependable range of Kusam Meco Product is High Safety UL Approved Digital Multimeters that we provide to our clients at a reasonable rate. These are provided with rugged fire retarded casing with battery access door, with a replaceable protective holster with probe-holders & tilt-stand and they offered with an optional purchase magnetic hanger. Double insulation per IEC61010-1 2nd Ed.,EN61010-1 2nd Ed., UL61010-1 2nd Ed. & CAN /CSA C22.2 No. 61010.1-0.92 to Category IV 1000V AC & V DC. Measurement Catagory: CAT IV 1KV. LVD meets EN61010-1 CAT IV 1kV. 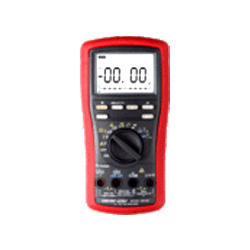 We offer and provide an exclusive range of Industrial Grade Digital Multimeters that are offered with an auto power off in 5~60 min or continuous on and with the inner Polymer Li-lon Battery with AC adapter. 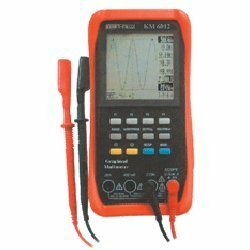 It can be used to measure DC and AC voltage, DC and AC current, Resistance, Capacitance, Hz, Diodes and Continuity. 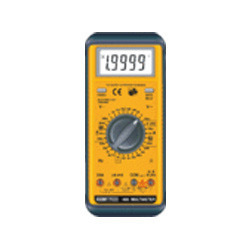 The maximum of voltage measuring can up to 1000V DC or AC peak value, resolution is 10 µV, and current measurement is up to 20A, it also has the function of polarity auto-change, backlight displaying and directly reading. For AC measuring, it is performed by high accuracy true RMS, has the feature of width measuring and to get accurate rms for AC flow of any wave shape. LSI - circuit use provides high reliability & durability. Compact, light-weight, & excellent operation. Over range Indication: '1’ Most Significant Digit is shown on display. Approx. 45 min of the last reading. Applicable standards: IEC 651 Type II. 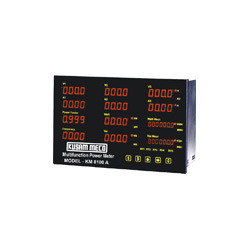 Display: 4digit liquid crystal display(LCD) with maximum reading of 9999. Hand-pump with filter to isolate dirt and particles. Thermocouple offset adjustment ±3°C (6°F). Automatic power off battery saver. Analyzer Computes: When the measured oxygen level is below 17.9%. 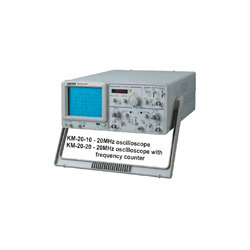 These 20 MHz Oscilloscope are dual- channel oscilloscope with maximum sensitivity of 1 mV/DIV. 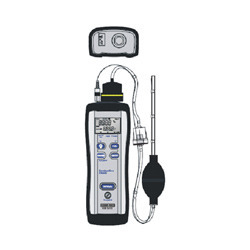 The time base provides a maximum sweep time of 0.2 mS/DIV. When magnified by 10, the sweep speed is 20 nS/DIV. These oscilloscope employ a 6-inch rectangular type TOSHIBA cathode-ray tube with red internal graticule. These oscilloscopes are sturdy, easy to operate and exhibit high operational reliability. ALT Triggering Function. Two independent signals simultaneous observation. High intensity CRT with high acceleration voltage: The CRT is a high beam transmission, high intensity type with a high acceleration voltage of 2KV. It displays clear readable traces even at high sweep speeds. The Oscilloscope has a trigger level lock function which makes the triggering adjustment unnecessary. Alternate triggering: Even an observation of two waveforms of different frequencies, the waveform of the each channel is stably triggered. CHI Output: Terminated 50 output of channel 1 signal available on rear panel for driving frequency counter or other instruments. Z-Axis Input: Intensity modulation capability permits time or frequency markers to be added. Trace blank with positive signal, TTL compatible. 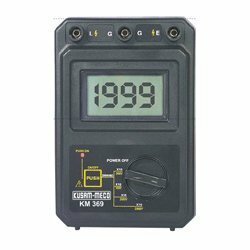 Model-KM-CAL-09 Multimeter Test Calibrator is a Test Instrument for AC / DC Voltage and AC/DC Current with 5 digits bright LED display. The Resistance output has 22 levels. 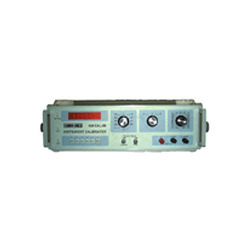 The Test Instrument, mainly used for testing and calibrating various instruments which have DC accuracy level below 0.5 and AC accuracy level below 1, is widely used for the quality testing, measuring and instrument servicing in Electronic manufacturing Enterprises, Scientific Research Institutes, Railway, and Electric Power etc. The Instrument is suitable to working in the environment with the surrounding temperature 0~±40°C, and the relative humidity below 80%. The power supply is 220V ± 2V [ If it can not meet the requirement, it is suggested to equip with fast acting AC Voltage stabilizer], and the power supply Frequency is 50Hz ± 2.5Hz. Stability: After the test instrument is preheated for 1 hour, the output drift at DC 5V will be less than 0.05% of the full scale value in 5 minutes; If the power supply change is ± 10%, the output Value change will be less than 0.05% of the full scale Value. External dimensions L x B x H: 510 x 430 x 160 mm (Approx). Our clients can avail from us a varied range of Signal Transmitters that deliver excellent performance at Aux. Power AC 85 ~ 265V or DC 85 ~ 300V. It is known for its remarkable accuracy of 0.1% RO at 23oC ± 5oC. This range is every user friendly and comes with input and output manual selection options. Its durable exterior is made of PC plastic for DIN Rail and Wall Mounting. Our clients can avail this range at industry leading prices. 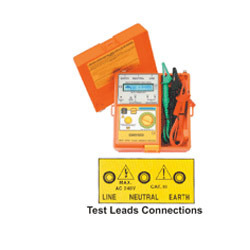 We are one of the prominent distributors and traders of a well-tested range of ELCB Tester. In addition, we also offer service for these products. 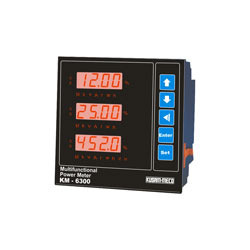 This product range has a 2 line x 16 characters LCD display. Our range is microprocessor controlled and consumes low power consumption. It is very easy to use with its menu driven and readouts disconnection time. Elcb Tester has automatic hold function with zero crossing circuitry permits that can test from a range of 0° or 180°. The LCD display shows Disconnection Phase Polarity. Microprocessor Trms Maximum Demand Controller offered by us by Kusam Meco can display 12 parameters simultaneously. It predicts and displays different versions of demand and its forecast. The big display allows easy and accurate reading. As it consumes minimal energy and has 10 years power-off memory, this range is widely demanded. Our valued patrons can avail this range from us at market leading prices. Looking for Kusam Meco ?